J Fallon Electric Inc. is your go-to source for the best standby generators and electrical services! Refer to Promo Code: FALLON1 and receive 10% off your total bill! Call today for more information! Lighting Up The Neighborhood For 30 Years. Welcome to J Fallon Electric Inc. 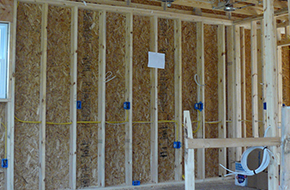 While J Fallon Electric Inc. began in 1985, we began focused on new construction service for residents of Richboro, PA. While we remain dedicated to offering construction service to those living in Bucks County, we have expanded our business to offer a broad range of construction, lighting, and of course, electrical services. 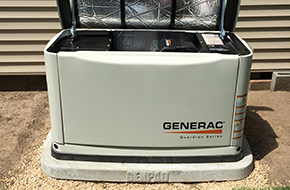 We are a proud retailer of high-quality whole house standby generators, offering our customers a quality product at a price that is within their budget. As a family-owned and operated organization, we pride ourselves on working with the local community and providing exceptional work. 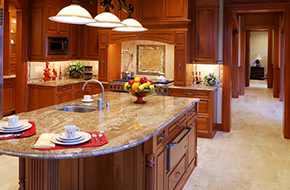 No matter what your project may be, J Fallon Electric Inc. is there to offer unmatched service. The core of our business revolves around new home residential wiring, but we also offer many other services to our customers. This includes other electrical services such as electrical upgrades and generator installation, as well as lighting services like outdoor recess lighting installation, security lighting, landscape lighting, LED retrofitting, and under-cabinet accent lighting. If you are looking to purchase a new fan and have it installed into your home, look no further than J Fallon Electric Inc.! We provide a great range of fan-related services, including bathroom exhaust fans, attic fans, and ceiling fan installation. It is easy to keep your home cool when you choose one of our attractive and reliable fans and have it installed by one of our dedicated professionals. At J Fallon Electric Inc., we have been “lighting up the neighborhood for 30 years.” Take advantage of our expertise and dedication to quality by giving us a call today; we have 10% referral rates available.